Gumbo returns April 15 with a mega-party featuring High Power and Montreal's Qualité de Luxe. If you snag a ticket, expect a scene straight out of Carnival. If you get a ticket to any Gumbo party, expect a scene right out of Carnival. Sweat drips, whistles blow and flags from around the world are waved. The music series, which is held every few months in Toronto, is one of the most aesthetically bold and culturally experimental events in the city today, and next week, it'll be celebrating its 11th edition with a new collaboration. Called High Qualité Gumbo, the Gumbo team is joining forces with two wildly popular events: High Power, a nomadic monthly party organized by Toronto non-profit Manifesto and Qualité de Luxe, a Montreal-based fête that brings a mix of African and Caribbean musical tastes. Last February, I went to Gumbo's event at the Royal Ontario Museum, and the party was accompanied by a fashion show, a costumed Carnival parade and food that catered to a variety of tastes from across the globe. Co-created by cultural curator and host Wan Luv alongside installation artist and fashion designer Chinedu "Chi" Ukabam, Gumbo is an invitation into an aesthetic exploration of the African diaspora, and each edition boasts a deep roster of DJs playing global sounds: Afrobeats, soca, dancehall reggae, kompa, soukous and Afro house. At the upcoming event April 15, there will be seven DJs on the docket, including Revy B, Dre Ngozi and Le Poirier. With early bird tickets already sold out, High Qualité Gumbo promises to be a massive celebration. The multicultural musical landscape of Toronto has been a hot topic since the release of Drake's latest "playlist," More Life. Music critics around the world are grappling with how the half Jewish, half African-American rapper from Forest Hill could feel comfortable with sampling musical influences from across the globe. Questions of authenticity and authorship have emerged, and it's clear many of Drake's critics have never lived in a city like Toronto — where Caribbean children yell, "Say Wallahi!" on the bus while their Somali friends respond with, "Ah lie!" Toronto's diversity allows for a unique kind of cultural experimentation, sampling and remixing. Ukabam talked about it when I interviewed him for another story earlier this year. (He curated the art exhibition Welcome to Blackhurst.) In Toronto, he says, "People understand mash-up." "People understand things being mixed up. 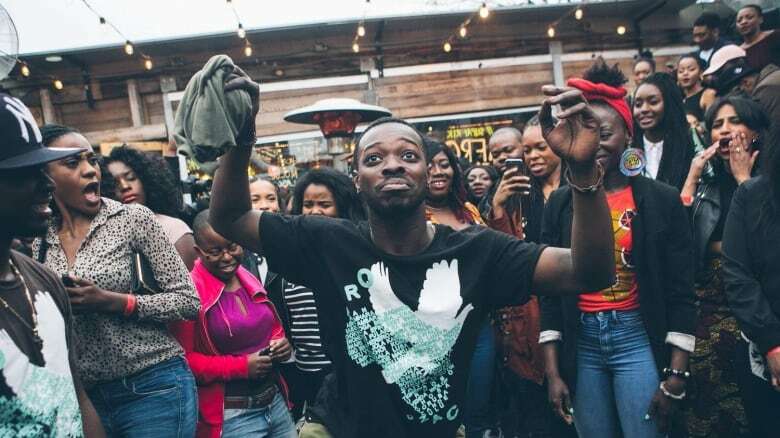 [It is] azonto dance becoming popular for people from Trinidad and Barbados. There is a multicultural blackness that exists in this city that may not exist in other cities where the concept is more of a melting pot. It's all black but not homogenous." Gumbo goes beyond a superficial celebration of multiculturalism. They're not culture vultures. Rather, guests are invited down a deep rabbit hole of layered identities. Ukabam himself is a living example: he was born in the U.K. and has lived in Nigeria, France and the Middle East. He's worked as a rapper, fashion designer, curator and more. "I've always wanted to create my own universe to inform my work and I didn't know how," he says. "A lot of things have been part of my creative DNA [but] when I try to express them in isolation, it can be lost on people." As a result, he's driven to construct immersive experiences like Gumbo that provide audiences with the tools to understand his work. 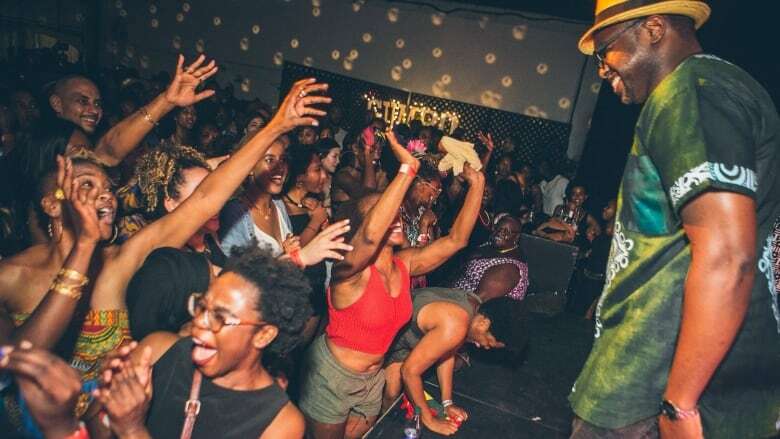 Gumbo parties provide context to the emerging sounds of the city, and Ukabam gathers a very purposeful lineup of DJs and dancers from the places where these sounds originate. The first time I attended a Gumbo party, I spent the first 20 minutes walking around the space and observing its carefully curated layout. "Any excuse I have to take over a space, I'm using it as an installation," he says. "So if the party is at The Drake Hotel, we're draping African fabric, we're lighting up all of the windows, we're making the space ours in any way possible. The party itself is an installation. We're handing out whistles to make it loud after midnight. We're giving out vinyl for people to fan themselves; we have a projection of a video at every party that's done by an actual filmmaker. So the party itself is like an immersive art experience. That's what separates it from being just any party." High Qualité Gumbo. Featuring Revy B, Nino Brown, Kyou, Dre Ngozi, Le Poirier, Sean Sax, Mr. Touré. April 15 at the Mod Club, Toronto. Tickets at www.eventbrite.ca.